MomAdvice is a community for women that are looking for ways to stay organized, stay sane, and stay within their budget. MomAdvice founder, Amy Allen Clark, was searching for information on problems that arise in a mother's every day life, but could not find a site out there that catered to everything that she was looking for. Amy decided to pool talents with her web designer husband and create a site that offered this information for mothers and a safe web community where mothers could chat. With this vision, and her husband’s knack for design, MomAdvice was born. MomAdvice was officially launched January 2004. MomAdvice receives visitors from all over the world looking for information on topics such as these and they also offer a forum where members can discuss and share their own tips with each other. We here at MomAdvice continue to expand our site and we look forward to providing more useful services to our community in the future. Amy Allen Clark has been the driving force behind MomAdvice.com since 2004. In addition to running a successful community for women and running after her kids, she has served as spokesperson for Minute Maid, Walmart, Cascade, Glade, Jack's Pizza, Cheer and is currently the home management "genius" for Kenmore. Amy also has appeared in various media outlets such as The Early Show, Parents Magazine, Redbook, Martha Stewart's Everyday Food, MSN Money, and the New York Times. Amy's written her first book, "The Good Life for Less," published by Penguin Books and is available to work as a contributing writer, speaker, or spokesperson for your brand. "50 of the Most Powerful and Influential Women in Social Media"
Mary Carver is a writer, speaker, recovering perfectionist, book nerd, and Mexican food enthusiast. 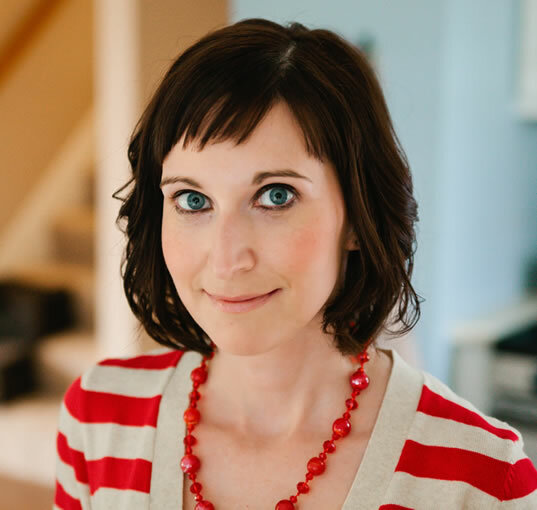 She is the co-author of Choose Joy: Finding Hope & Purpose When Life Hurts, and she writes about her imperfect life with humor and honesty at www.givinguponperfect.com. Mary also contributes to incourage.me and MothersofDaughters.com, and she'd love to connect with you on Facebook. M.J. is a graphic designer and social media specialist by day (and night) while she entertains her three children and counts the minutes until the next date night with her husband. She is overly enthusiastic about musicals, dark chocolate, and a good balloon animal (but really, who isn't). She shares parenting fun and DIY over on her blog, Pars Caeli, a piece of heaven.